It’s a New Moon Day Manifestation Sound Bath! 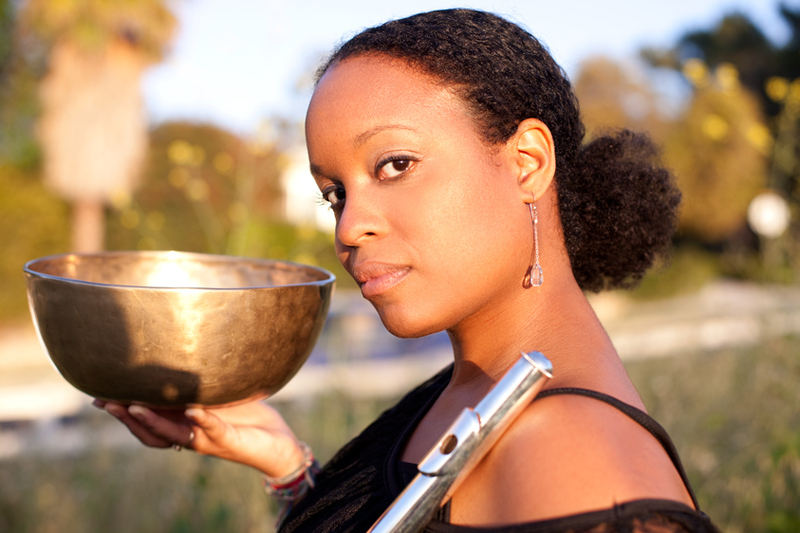 Fawntice leads our May new moon sound healing with her special signature gong bath. Experience the powerful vibrations of multiple gongs, as you clear energetic blockages, allowing space to express the light in your heart. As part of the sounds healing, each attendee will have the opportunity to play a gong, sending your private, personal and positive intention to ripple on the sound waves out into the world. For optimal comfort, wear your socks, bring your mat, a pillow, blanket, water, and eye pillow if you’d like. Join Shaanti Yoga & Crossfit Forest in their newly developed Kid's summer camp! Kids between the ages of 7-13 are welcome! We are offering two different sessions: July 8th-12th and August 12th-16th. Camp will run from 1:00-4:00 pm each afternoon. Each day will be filled with numerous activities: Yoga, Crossfit, crafts, nutrition, and meditation. The kids will learn valuable skills like teamwork, leadership, respect, and kindness. We will provide one small snack and water for each child. Feel free to send additional snacks/water! 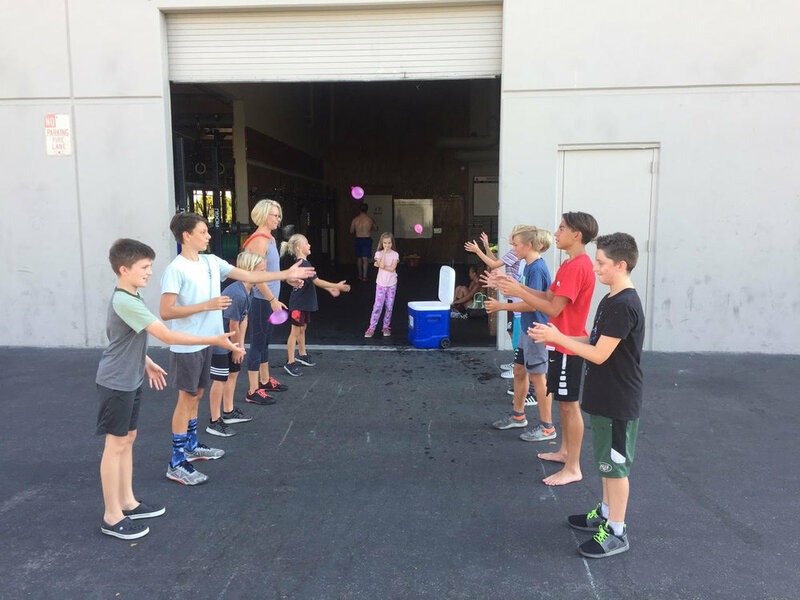 Sign up now to give your child an amazing opportunity to improve his or her agility, strength, endurance, coordination, mobility, and to make friendships and memories! and resins to create a custom spray blend to take home. 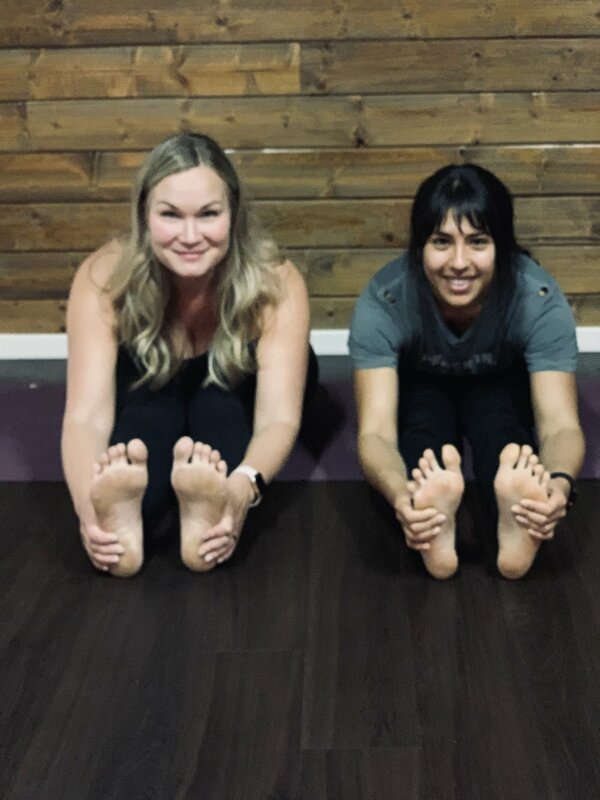 Join Mia and Krista for an evening of pure bliss in this special 90 minute class. The first hour will be spent stretching, and creating space by holding Yin poses. The last 30 minutes will take a turn for the restorative as we enjoy more supported, relaxing shapes. 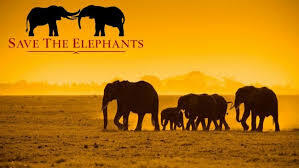 The experience will be enhanced by lots of hands-on adjustments and the topical application of essential oils.Investment is only $25.00 for Shaanti members and $30.00 for non-members. We expect this class to fill up quickly, so reserve your spot today! Fawntice leads our St. Patty’s full moon energy sound healing with her special signature gong bath. Experience the powerful vibrations of multiple gongs, as you clear energetic blockages, allowing space to express the light in your heart. As part of the sound healing, each attendee will have the opportunity to play a gong, sending your private, personal, and positive intention to ripple on the sound waves out into the world. 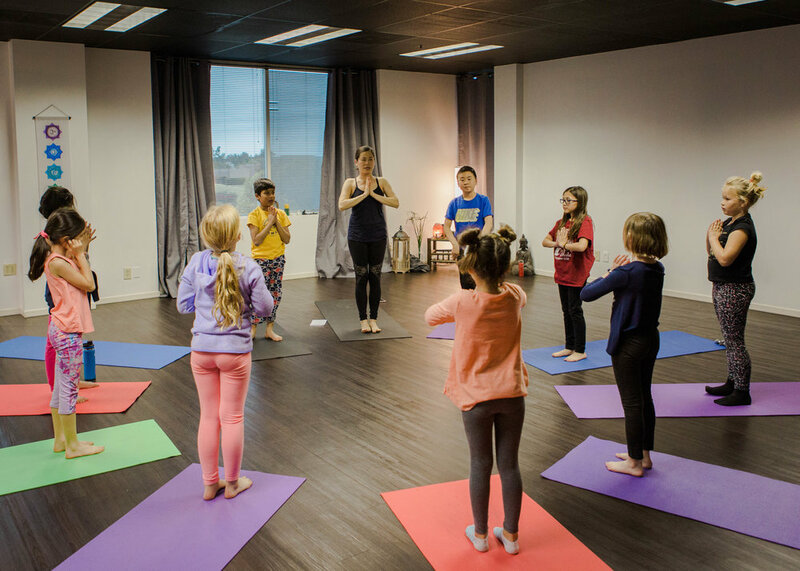 Our kids yoga series is for children 7-11 years old and goes for 6-weeks. Drop-in rate is also available. Siblings receive a discount. Molly is not only a certified yoga instructor, but also a mom and has years of experience working with kids. This is the perfect way to introduce your child to the world of yoga. Come learn and explore yoga poses through stories and games. This yoga class is taught in a fun, creative and enjoyable manner. Each class begins with breath work and ends with svasana [AKA. A power nap to reset]. Your child will learn mindfulness techniques to help them better navigate everyday life at school and at home. They will be taught Sun salutes, backbends, arm balances, balancing poses and inversions just to name a few. Children need structure to understand healthy boundaries, however they also still need the space to explore, play and grow. What they learn on their mat can and will transfer into the world. Molly started yoga for stress relief from her corporate job. After years of practicing yoga, she completed her 200 hr training in 2017. Molly leads vinyasa flow yoga, focusing on breath, connection and movement. She believes through consistent practice of yoga and meditation, your body and mind is in true harmony. Molly is certified by mini yogis. She teaches kids yoga through interactive games, partner poses and stories, and how yoga strengthens their body and calms their minds. Molly is also a Integrative Nutrition health coach. She helps her family, clients and students create health and balance by applying yoga, mediation, and nutrition. COST: $69 for all 6 weeks for first child/ $55 for siblings. $18 Drop-in rate for 1 session. Wednesdays from 4-5pm- this series begins 3/6 and ends 4/6. Come have some fun! Join Denie Shae Martinez, Ayurveda Health Counselor and Yoga Teacher, for a workshop on the 3 Pillars of Health. Pillar 1- The proper management of food and digestion is the first step to health and wellbeing. Pillar 2- Essential to our wellbeing, sleep gives the body its opportunity to use its energy to heal and repair from the stress and strain that accumulated during the day. Pillar 3- Proper management of energy. The invitation is then to discover what most nourishes you, adopting self- care routines to nourish the body and mind as well as your energy reserves. Resiliency is key. 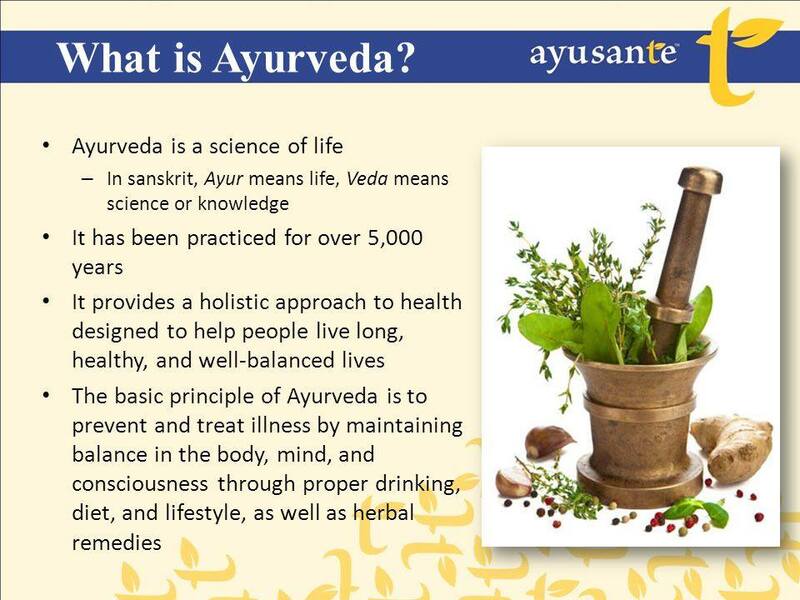 Ayurveda, the sister science of yoga, is a natural an individualized approach to health and optimal living. Ayurveda philosophy expresses the importance of living in harmony with nature, it is the Science of Life. Through proper self inquiry we can select diet and lifestyle practices that will support us through the changing seasons. It’s a Full Moon, lunar eclipse sound bath! Fawntice leads our full moon energy sound healing with her special signature gong bath. Experience the powerful vibrations of multiple gongs, as you clear energetic blockages, allowing space to express the light in your heart. This event usually fills quickly, so register early! Join us for this inspiring afternoon of creating your personal vision board for 2019! We’ll gather together, meditate and help each other discover our goals and dreams for the new year. Then we will create a vision board to take home. This is a community event and free for all who attend. Our kids yoga series is for children 6-10 years old and goes for 6-weeks. Drop-in rate is also available. Siblings receive a discount. Molly is not only a certified yoga instructor, but also a mom and has years of experience working with kids. This is the perfect way to introduce your child to the world of yoga. Come learn and explore yoga poses through stories and games. This yoga class is taught in a fun, creative and enjoyable manner. Each class begins with breath work and ends with svasana [AKA. A power nap to reset]. Your child will learn mindfulness techniques to help them better navigate everyday life at school and at home. They will be taught Sunsalutes, backbends, arm balances, balancing poses and inversions just to name a few. Children need structure to understand healthy boundaries, however they also still need the space to explore, play and grow. What they learn on their mat can and will transfer into the world. This practice is linked to the Hindu belief that 108 is a sacred number: there 108 Upanishads (Hindu spiritual texts), 108 names for Hindu deities, 108 sacred points on the body (marma points), 108 beads on the Mala chain and 108 sacred sites in India (pithas), AND...the distance between the sun and the earth is 108 times the sun’s diameter. This is the most common time that it’s practiced in Western culture as a way of welcoming the spring, breaking out of the darkness of winter, and as an opportunity to let go of anything weighing you down as you move into the lighter, fresher, season—but this is a practice you can do on your own any time or any of the other seasonal changes. 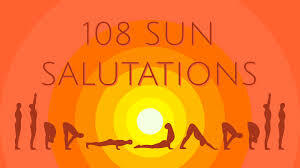 The 108 sun salutations are nothing to fear. These can be done modified and I will give options. We will do 27, take a break and then take a short break for 4 rounds. We will follow the practice with a few restorative poses to settle the body and mind! After thinking all week of how we could help, we thought what better way for us than through offering yoga and getting support from our community to help those in need! Please spread the work. This will be an all levels, flow class to detox after Thanksgiving! Kia is a certified, experienced yoga teacher and transformational life coach. With a background in counseling psychology and as a mother of 3 children, she is passionate about helping mothers and mothers-to-be to cultivate peace and well-being during one of the most important times of their lives. Our prenatal yoga classes are designed to meet your ever-changing needs in all stages of pregnancy. Yoga can help you reduce stress and anxiety and alleviate the discomforts of nausea, constipation, swelling, back pain, sciatica and many other challenges that often come with pregnancy. A safe, open community allows you to freely discuss any issues, from discomforts and concerns, to the wonderful new changes your body and baby are experiencing. 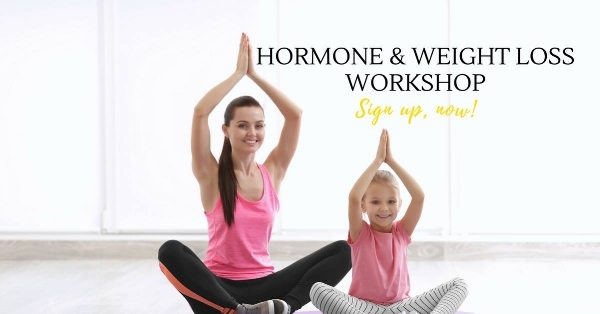 You will build strength, experience relaxation and connect with other women sharing your journey as you prepare for birth and the transition to motherhood. These classes are appropriate for all experience levels. Join Kia starting this Saturday 11/10 at 10:30-11:45am and every Saturday for this prenatal class! Join Denie Shae Martinez, Ayurveda Health Counselor and Yoga Teacher, for a seasonal workshop introducing the basics of Ayurveda philosophy and how to prepare and maintain optimal health for the Fall season ahead. Fall is dominated by the Vata dosha energies of light, dry, mobile, cold, hard. Learn how balancing through opposites can keep you hydrated, calm, grounded, and focused. Ayurveda philosophy expressing the importance of living in harmony with nature, it is the Science of Life. Through proper observation of the elements in the environment we can select diet and lifestyle practices that will support us through the changing seasons. Fall Season Care Kit Optional (includes tea samplers, 4 oz massage oil, aroma roll- on and digestive herb blend). The new moon is a powerful time to wipe the slate clean and begin again when we feel the need, to reflect on focused intentions leading towards manifestations, and to experience the healing vibrations of sacred sound. Fawntice leads this month’s new moon energy sound healing with her special signature gong bath. Experience the powerful vibrations of multiple gongs, as you clear energetic blockages, allowing space to express the light in your heart. As part of the sound healing, each attendee will have the opportunity to play a gong, sending your private, personal, and positive intention to ripple on the sound waves out into the world. Breathwork is an active meditation that is simple, powerful, and transformative. Faisal will guide you through the breathing technique during the session. Breathwork is used to help people achieve a greater sense of self-love and self-healing. It also helps improve mental, emotional, and physical well-being. Anyone can practice Breathwork and zero experience is needed. If you can breathe, then you can do this. If you have never tried Breathwork, the experience can be deep, reflective, peaceful and exhilarating. Breathwork calms our overstimulated nervous systems and shuts our minds off. Breathwork has the ability to deepen meditation, spark creativity and can help heal depression, anxiety, chronic pain, and insomnia. How is a Breathwork Done? Breathwork is done comfortably lying on your back. The group breathes for approximately 25 minutes to music. Music is played to help motivate, relax and release. We guide the group with positive motivational speaking through the whole process. When we are almost at the top of our breathing we ring a 38” Paiste Sun Gong for a few minutes to help clear everyone’s energy. At the end of the gong the group is instructed to let out a couple massive screams to launch into a state of bliss. The hard work is over. We guide the group through a few heart opening moments and that’s it. You will leave feeling better, rejuvenated and refreshed.  Try to refrain from eating anything for an hour or two prior to this event.  Please bring a yoga mat, if you get cold bring a blanket and anything that helps you feel comfortable. Thank you for your interest and we look forward to seeing you for this amazing experience! Our kids yoga series is for children 7-11 years old and goes for 6-weeks. Drop-in rate is also available. Siblings receive a discount. Sourannha is not only a certified yoga instructor, but also a mom and has years of experience working with kids. This is the perfect way to introduce your child to the world of yoga. Come learn and explore yoga poses through stories and games. COST: $60 for all 6 weeks for first child/ $50 for siblings. $12 Drop-in rate for 1 session. Molly is certified by mini yogis. She teaches kids yoga through interactive games, partner poses and stories, and how yoga strengthens their body and calms their minds. Molly is also a Integrative Nutrition health coach. She helps her family, clients and students create health and balance by applying yoga, mediation, and nutrition. Join Denie Shae Martinez, Ayurveda Health Counselor* and Yoga Teacher, for an evening of conversation and tea. An initial orientation to Ayurveda, the sister science of yoga, and the 3 Doshas. Ayurveda is an individualized approach to optimal living. Ayurveda emphasizes Prakruti, our unique balance that we will spend our life supporting to maintain health and wellbeing. Through an understanding of the 3 Doshas one can better care for their body and mind to ensure optimal functioning. An ample period for question and answer to follow. *Ayurveda Health Counselors focus their practice on the 5 sense therapies (diet, daily routines, sleep, aromatherapy, color & sound, massage therapies) and adopting healthy lifestyle routines appropriate for ones Prakruti. Please note questions regarding specific diagnosed conditions will not be addressed at this public event. For questions regarding diagnosed pathology (i.e. auto immune, cancer, diabetes, etc.) please consult privately. Free Yoga Class at Patch Coffee! Join us for a 1-hour Hatha flow class at Patch Coffee in Lake Forest! This will be an easy-going, all levels class that will emphasize breath awareness, strength, flexibility and balance as we move through a light-hearted, slow flow class. Bring a mat and water! the light in your heart. As part of the sound healing, each attendee will have the opportunity to play a gong, sending your private, personal, and positive intention to ripple on the sound waves out into the world. Ever wonder why so many people cannot shed the extra pounds despite diet and exercise or without going to extremes? It may be a toxicity challenge. Discover the science and link between toxicity and weight-loss resistance. Kari Young is an expert in customizing thorough nutrition & detox plans for every individual. Too many people are doing health the way it was done 20 years ago. We now live in the most toxic time in human history and people need to be taking care of their health for the world we live in now. Conditions such as menopause, cancer, hypothyroidism, hormone imbalances, and depression are happening at younger and younger ages in the toxic modern world. There is so much that can be done to control the direction of your health and avoid these conditions. The reasons to detox are great, but this program, in particular, is designed with the strength to target weight-loss resistance and treat thyroid and autoimmune conditions. 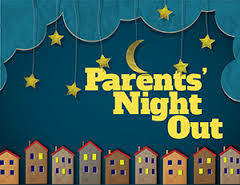 Join Sourannha for this fun evening spent together while parents go out! What's happening: We will spend time together in a casual setting at our beautiful studio. We'll do yoga, crafts and yoga games. We might even glow! Food and drinks will be provided. A gentle restorative yoga class that incorporates poses that require no muscular energy. Each pose is held for several minutes and is supported by props such as blankets, bolsters and blocks. Each pose is soothing and relaxing to help ease tension, tightness and stress in the body. Essential oils will be incorporated throughout the class to bring your relaxation to a deeper level.